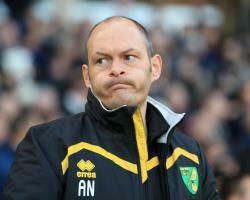 The 35-year-old joined the Canaries in January 2015 but, after winning promotion to the Premier League at the first attempt and then failing to stave off relegation, he leaves the club eighth in the EFL Championship. Former West Brom boss Alan Irvine steps up from his role as first-team coach to take charge of Saturday's game against Blackburn. A statement read: "The Board has taken the tough but unanimous decision, believing it is in the best interests of the Club for a new manager to be in place through a crucial summer transfer window and into next season." Neil had faced the press little more than four hours before his dismissal was announced, using the opportunity to insist he was the right man to lead the club in the long term. He also stressed his bond with joint majority shareholders Delia Smith and Michael Wynn-Jones, although it appears their mind was already made up. "What I would say is in my position, knowing all the inner workings, I am the best person to lead that forward."